XXXVIII, 590 p., 15,6 x 20,9 cm. This journal, which is very hard to find nowadays, was funded by Hegel and his circle of students in Berlin. 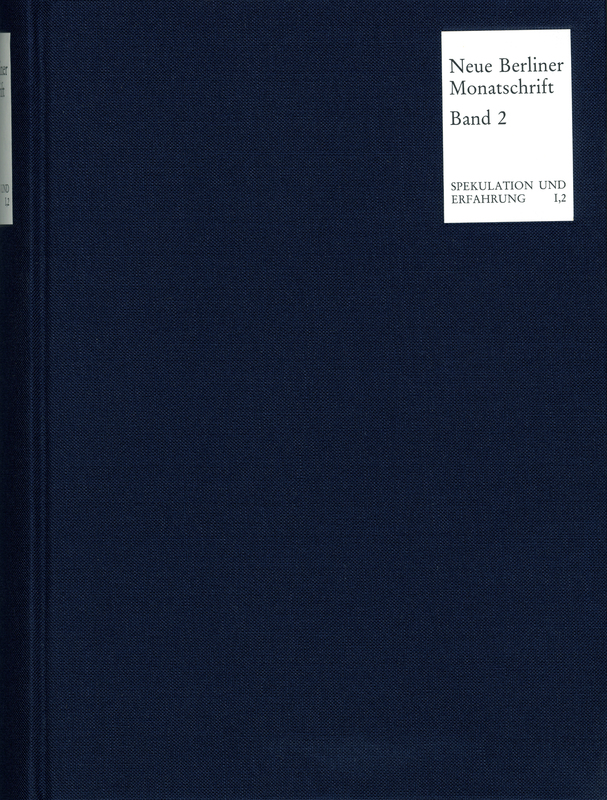 In approximately 80 articles, it provides insight into the intellectual situation in Berlin at that time and into the philosophical, literary and artistic endeavors in which Hegel and his students were involved. There are passages taken from Hegel’s first ›Vorlesung über Aesthetik‹ (Lecture on Aesthetics), which he held in 1820/21. Particular importance is attached to Goethe and Schiller, in whose works art and science were closely intertwined. Romance literature is represented by Petrarca, Gozzi and Lamartine. The afterword deals with individual articles in the journal and in particular with its connection to Hegel’s ›Aesthetik‹ (Aesthetics).